Benke AC and Cushing CE (eds.) (2005) Rivers of North America. Management. Chichester: Wiley. Hauer FR and Lamberti GA (eds.) (1996) Methods in Stream Ecology. San Diego, CA: Academic Press. Junk WJ, Bayley PB, and Sparks RE (1989) The flood pulse concept in river flood plain systems. In Dodge PP (ed.) Proceedings of the International Large River Symposium, Special Publication. Canadian Journal of Fisheries and Aquatic Sciences, vol. 106, pp. 11 127. Kangas PC (2004) Ecological Engineering: Principles and Practice. Boca Raton, FL: Lewis. Leopold LB (1994) A View of the River. Cambridge, MA: Harvard University Press. Ecosystem Restoration. Hoboken, NJ: Wiley. Schulze PC (ed.) (1996) Engineering with Ecological Constraints. Washington, DC: National Academy Press. Vannote RL, Minshall GW, Cummins KW, Sedell JR, and Cushing CE (1980) The river continuum concept. Canadian Journal of Fisheries and Aquatic Sciences 37:130 137. Ward AD and Trimbal SW (2004) Environmental Hydrology, 2nd edn. Boca Raton, FL: Lewis. 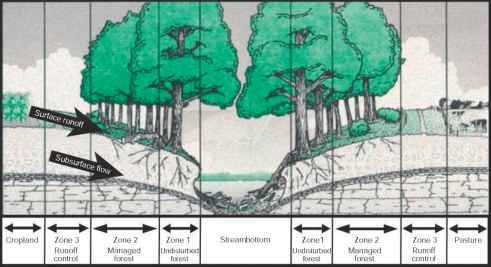 Wetzel RG (2001) Limnology: Lake and River Ecosystems, 3rd edn. San Diego, CA: Academic Press.